It was probably meant to be the album-closer on Blood On The Tracks. This makes sense. The lyrics clearly hints of taking responsibility for “his tale” (songs on Blood On The Tracks). The song could be taken as terminally clever. 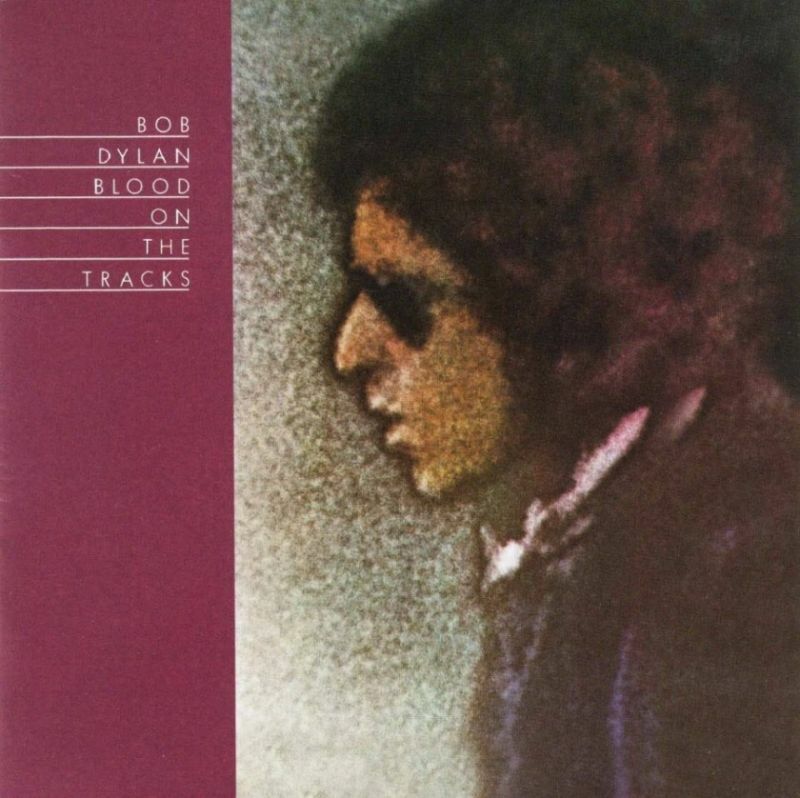 But the beauty of the singing opens the door to another way of hearing it: Dylan is accepting responsibility for everything on Blood on the Tracks, overt or covert, contrived or genuine. In the end, he admits, it all comes from him. Sadly enough, this brilliant song was dropped from the album & replaced with “Buckets of Rain”. The song has never been played live by Dylan. So let’s check out some versions by Roger McGuinn. There is simply so much soul in music that winds its way out of Oklahoma, Chicago, New Orleans, New Jersey and… yes, Minnesota. A Minnesotan, I’m mourning the death of Prince by sometimes listening to Dylan. 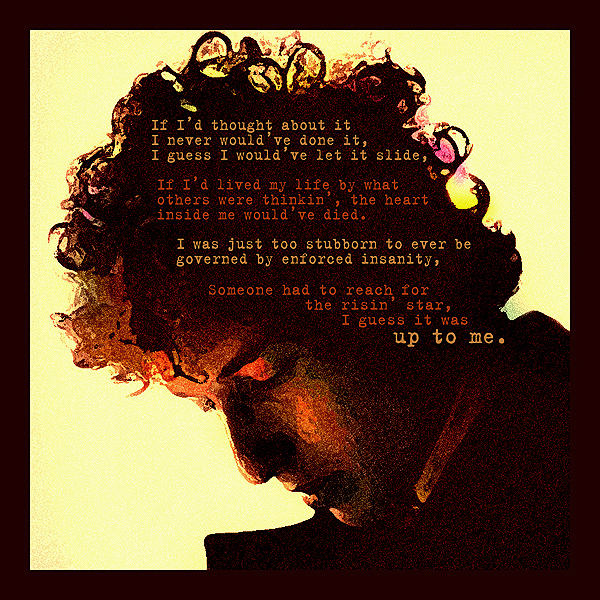 “Up To Me” grabbed my attention by the throat from the first hearing on “Biograph,” and definitely stands with Bob’s finest. always loved this song! on constant replay. How to express what I feel listening to the sheer beauty of this, what can only be described as a hymn. It’s so hard. A poem that Dylan’s voice turns into something brittle and fragile, something unearthly and magical. One of Bob’s best, definitely. No need for a scan, but I will update the post.